Mojo Alcantara is a lovely, small village situated alongside the Alcantara river, between Catania and Messina. The purity of its water, fertile soil and the sunny plain on which it lies makes it a special place for the production of these famous peaches. The original Mojo peach is yellow, thick skinned and sweet, quenching your thirst. 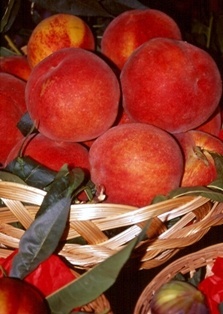 Every year, in summer , there is the famous Mojo Alcantara festival dedicated to this prestigious variety of peach.